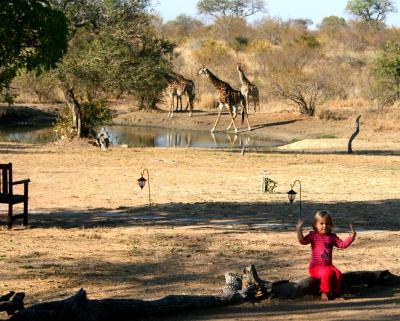 Lock in a great price for Kambaku Safari Lodge – rated 9.6 by recent guests! I was delighted to see that the small number of guest each had their own bungalow. The bedroom and bath areas were larger than I expected and there are plenty of common areas so people can be private or talk among the other guest. The staff was very friendly and desiring to accommodate. 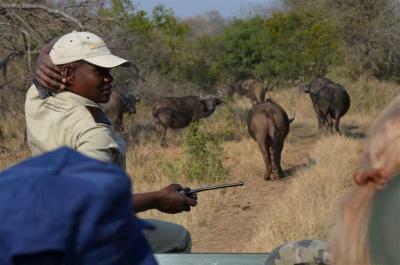 Most of all is the quality of the Safari and the animals that roam the property. The guide was very knowledgeable and always concerned for our safety. I highly recommend this property for you safari. If you are planning a safari in South Africa, this is the best value for money lodge I have been to. 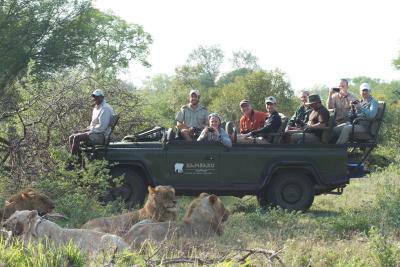 The game viewing is incredible, the rooms are stunning and the staff are absolutely great. This lodge has a brilliant atmosphere, food is perfect. I find it very difficult to think of something I dont enjoy about visiting Kambaku. We saw heaps of animals on every game drive. Gideon and Eric were very good at finding the animals that we wanted to see. Elephants, lions, leopards, buffalo, rhino, zebra, giraffes, hyenas, wild dogs and lots of different types of antelope, birds and smaller animals were seen many times. It was an amazing experience from the time we arrived to the time we reluctantly left. The staff looked after us very well, keeping us well fed, entertained and comfortable. Highly recommended! Es war alles perfekt! Vom Empfang, den Mitarbeitern, der Lodge, dem Ranger und Tracker, dem Essen, der Sauberkeit... einmalig! Man hat sich pudelwohl wohl gefühlt, wie zu Besuch bei Freunden. Séjour inoubliable ! Établissement de qualité adapté aux familles. Personnel au top ! Un grand merci ! Een paar dagen fantastisch goed verzorgd bij Kambaku. Wat een droom! Wat ons betreft een echte aanrader. Van het begin tot het einde goede verzorging, attente mensen, en de game drives met Nick en Herman waren geweldig! We hebben het ontzettend naar onze zin gehad. De hele crew is doet aardig en behulpzaam. Ze dien enorm hun best om je verblijf zo geweldig mogelijk te maken. De game drives waren fantastisch! 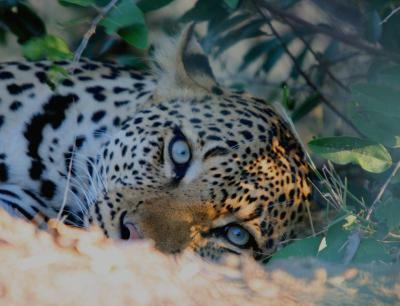 Kambaku Lodge is located in the heart of Timbavati Nature Reserve and has a waterhole which attracts members of the Big 5. Each of the rooms and chalets feature African décor and a private patio. 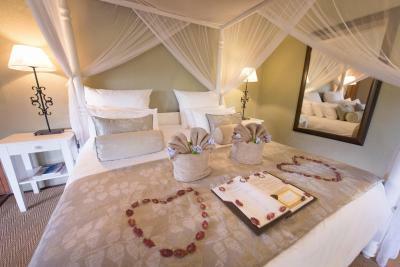 The four-poster beds are surrounded by mosquito nets and the bathrooms contain both a bath and shower. This eco-friendly lodge lights its rooms with lanterns at night, but also has solar operated electric sockets, ceiling fans and free Wi-Fi. Brunch is served daily either beside the outdoor pool or on the spacious veranda. Dinners consist of local cuisine and are held beside a bonfire, under the stars in the Boma area. Guests can also enjoy a cocktail at the bar. 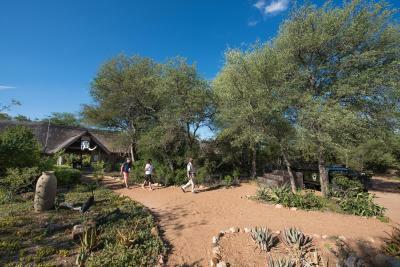 The Kambaku Lodge is a 45-minute drive from Hoedspruit Airport and 3 hours by car from Nelspruit. 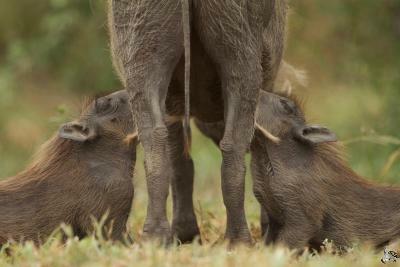 Timbavati Nature Reserve is directly next to Kruger National Park, about 43 mi from the lodge. 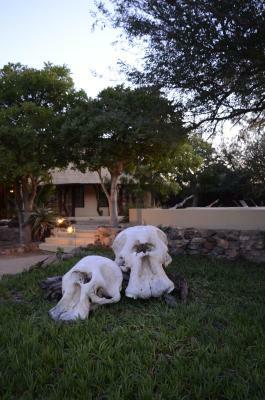 This property is also rated for the best value in Timbavati Game Reserve! Guests are getting more for their money when compared to other properties in this city. When would you like to stay at Kambaku Safari Lodge? 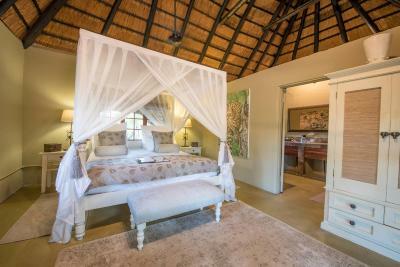 This rooms features traditional African décor, with a fourposter bed draped in a mosquito net. 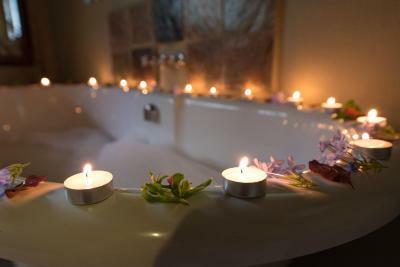 It contains a private patio overlooking the garden and an private bathroom with a bath and shower. Please note that the price is based on 2 guests. Maximum occupancy is 3 adults (see Hotel Policies). The extra person rates vary according to the season and may be lower than indicated in the policies. 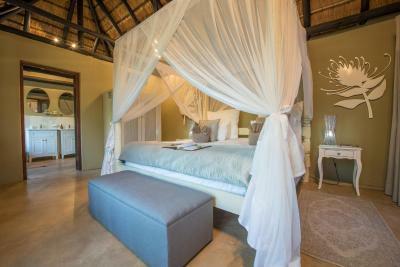 This rooms features traditional African décor, with a four-poster bed draped in a mosquito net. It contains a private patio, fan and the bathroom contains a bath and shower. Please note that the price is based on 2 guests. Maximum occupancy is 2 Adults + 2 Children (see Hotel Policies). The extra person rates vary according to the season and may be lower than indicated in the policies. It contains a private patio with views of the water hole, a sofa bed and a bathroom with a bath and shower. Please note that the price is based on 2 guests. Maximum occupancy is 2 Adults + 1 Child (see Hotel Policies). The extra person rates vary according to the season and may be lower than indicated in the policies. 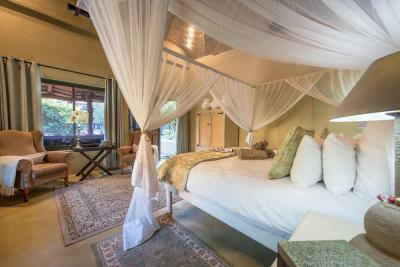 This suite features traditional African décor, with a four-poster bed draped in a mosquito net. It contains a private patio overlooking the waterhole and a bathroom with a bath and shower. House Rules Kambaku Safari Lodge takes special requests – add in the next step! All children under 12 years are charged ZAR 2400 per night for extra beds. Any additional older children or adults are charged ZAR 3900 per night for extra beds. Kambaku Safari Lodge accepts these cards and reserves the right to temporarily hold an amount prior to arrival. Please inform Kambaku Safari Lodge of your expected arrival time in advance. You can use the Special Requests box when booking, or contact the property directly using the contact details in your confirmation. The only challenge (which is tree same for all lodges in and around Kruger) can be getting there. Flights from Johannesburg become expensive. If you are travelling with more than one person, consider hiring a car and driving. It takes around 5.5 hours and works out much cheaper than flying. We would have enjoyed more salads. The meals were tasty and plentiful; more than we are used to.